Wear this comfy Thrive Tech Tee on the go, around town, or around the house! This versatile t-shirt offers complete freedom of movement and comfort, thanks to our performance-enhanced materials. 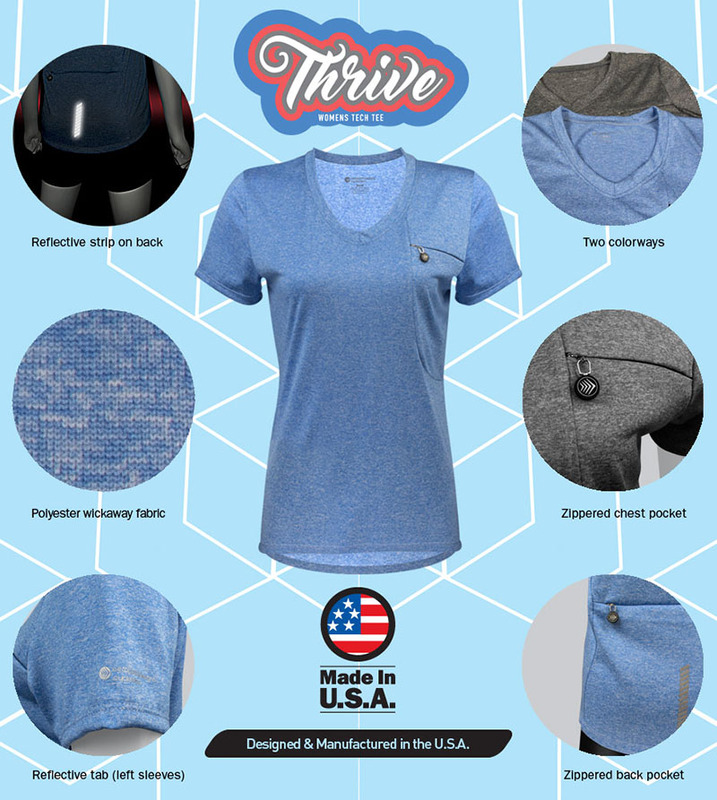 This tech tee is manufactured with duo-faced Max-Dri polyester and treated with MicroBlok technology, making the Thrive Tech Tee anti-microbial, odor-resistant, and quick-drying to keep you cool and feeling fresh. For our female cyclists and fitness gurus, the Thrive Tech Tee offers a flattering fit with princess lines around the curves. 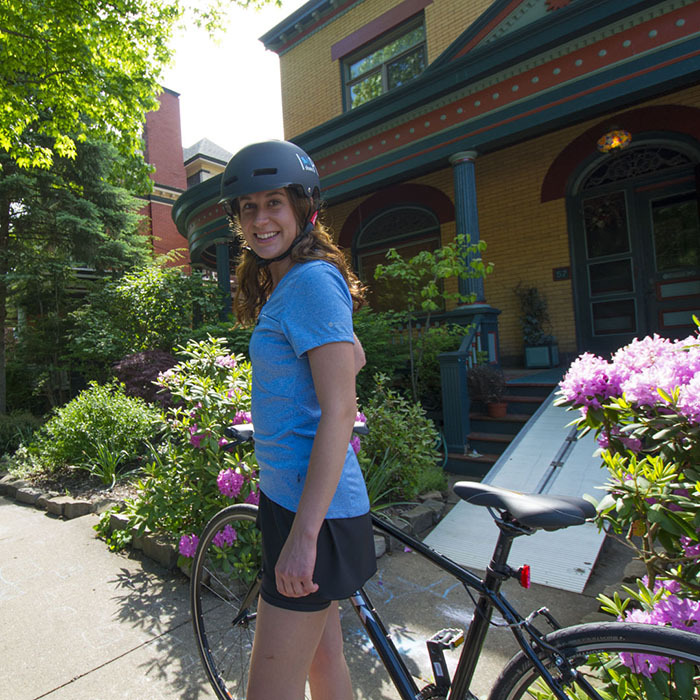 The t-shirt also offers a slightly longer back for when you are in the cycling position or Downward Facing Dog. The back of the Thrive Tech Tee is an easy-to-reach spacious pocket that is great for keeping your gels, bars, and other items secure. 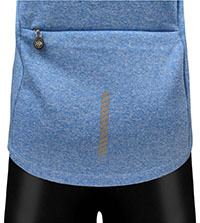 The zippered chest pocket in the front makes a great stowaway for money, ID cards, or a music media player. A 3M reflective strip on the back and a reflective logo on the sleeve adds biker visibility and safety for low-light rides. Two zippered pockets to keep your belongings secure! 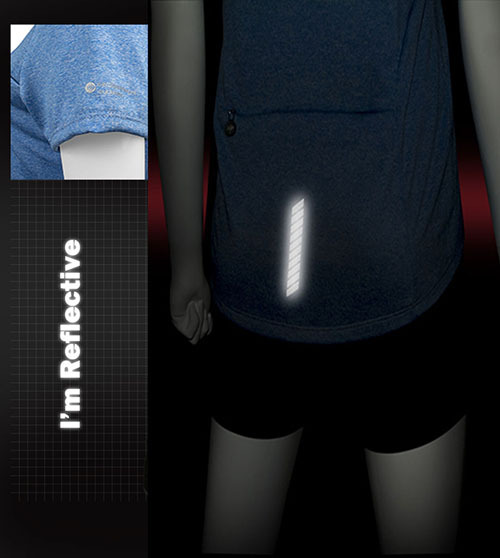 Reflective elements on back and left sleeve add safety at night. STAY DRY AND COOL WHERE EVER YOU GO! I got this tee in the gray to look casual and I don't want it skin tight. I wear a size 12 and got the Large. I wear it every week. It is always in my laundry. I also wear it shopping, to work, everywhere, just need more colors now. Love this so much. I consider myself mostly a cycling "dabbler" and didn't want to pay too much for cycling gear. I've learned the hard way that there's a lot of inexpensive gear on Amazon, and that you get what yo pay for! The thing I most like about this shirt is that you can stow your cellphone, wallet, etc. Securely in the zippered pockets, but when you change out of your cycling shorts you can easily wear the shirt with regular pants and not seem out of place. 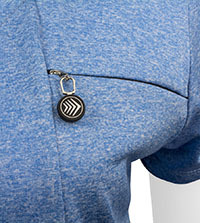 The cellphone pocket in the front miraculously doesn't create an odd-looking bump, yet remains easily accessible. As a taller woman, I have trouble getting t-shirts that don't reveal everything if I bend down to tie my shoes and this shirt is great for that. My only complaint is that you need more colors!